To serve, warm the tortillas in a skillet until heated through or char slightly over an open flame and transfer to a plate. 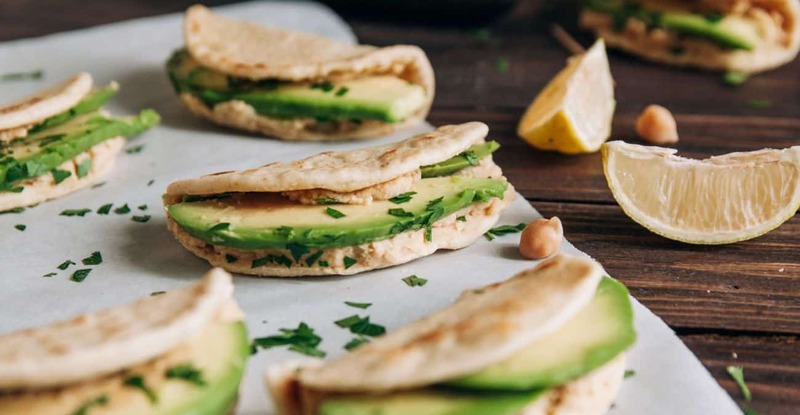 Spread 2 tablespoons of the hummus over each tortilla and top with two or three slices of avocado onto each. Season the avocado with salt and black pepper. Garnish with cilantro, serve with lime wedges, and enjoy immediately!